Listers, imagine a world. Imagine a world in which Melbourne was recognised for both its greatness and its horrors. A world in which Vue de Monde and Frankston are uttered in the same sentence. A world in which Mister G and Gina Rinehart are friends. 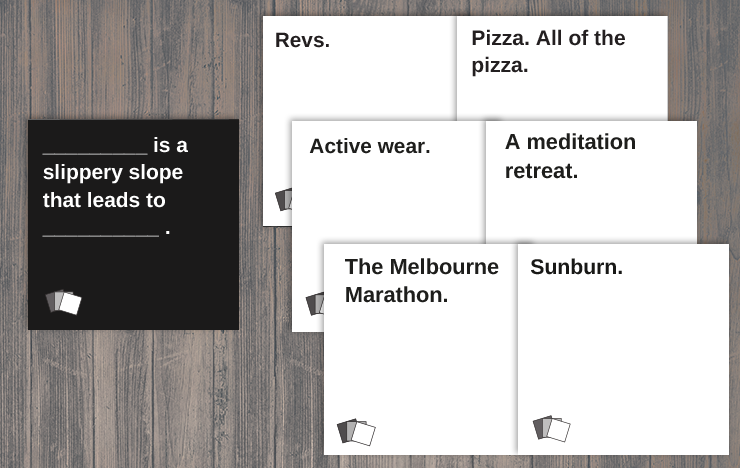 Listers, imagine a world in which MELBOURNE HAS ITS OWN SET OF CARDS AGAINST HUMANITY. 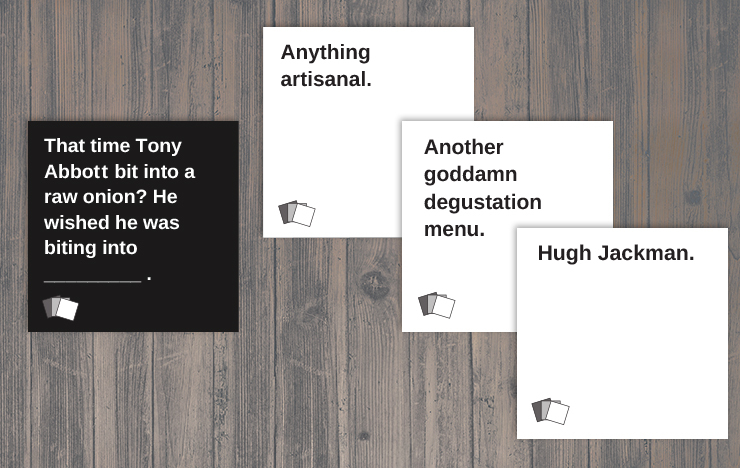 Abbott and Wolverine? Who woulda thunk it?! Please, God, let someone invent a magic souva that comes with added pugs. ERHMAHGAAAAD pleeeeease let it be #2! Uh, doesn't everything lead to all of the pizza?! Geelong, you'd better be ready. 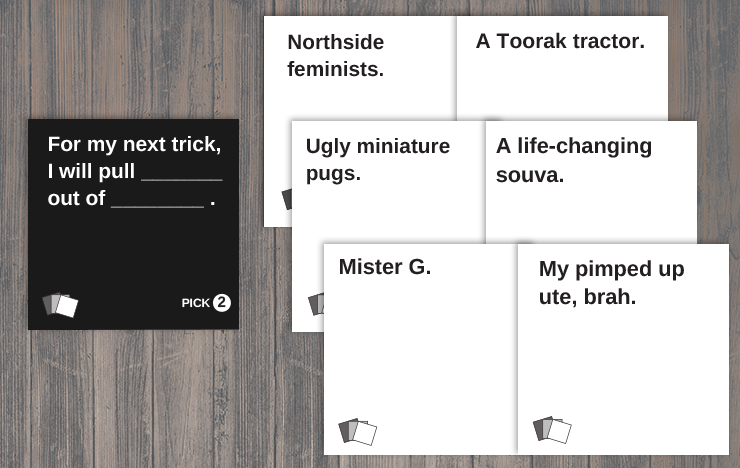 Share your own hilarious games with us via Instagram using the hashtag #TULagainsthumanity. And if you want to recommend some questions or answers of your own, drop us a line via email.